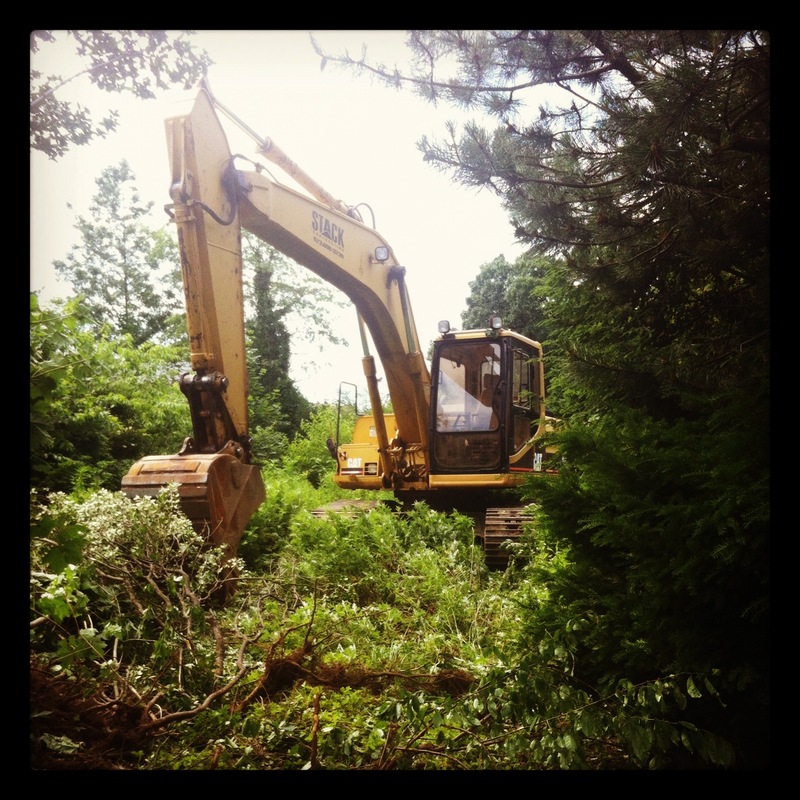 Long time no post… After waiting for months to get permit approvals, we were anxious to get started. Our builder moved pretty quickly getting the land ready for the foundation. You can’t imagine how excited we were just to see a crane on the property. Once they cleared out the property and started to dig, they hit some debris. Turns out, there was an existing foundation on the property. It was from the 1800’s and made mostly of large brownstones. This was certainly a surprise, but unfortunately a costly surprise. It turns out that it is really hard to dispose of mixed soil. We had to find a place that would take the soil. It ended up costing us about $400/truckload. This was an unexpected cost. Fortunately our builder was able to use some of the material for fill under the driveway. 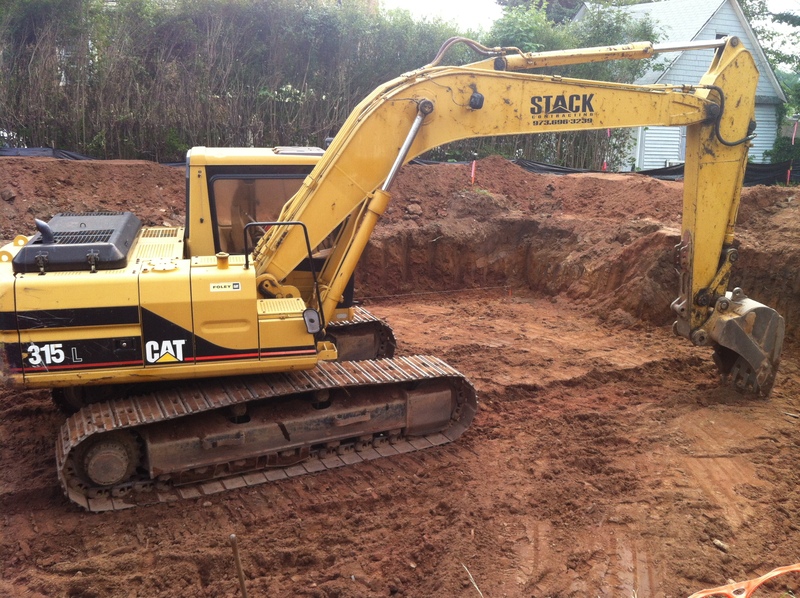 A week later we had a big hole and the builder was ready to install the foundation. The foundation was constructed by a company called Superior Walls. 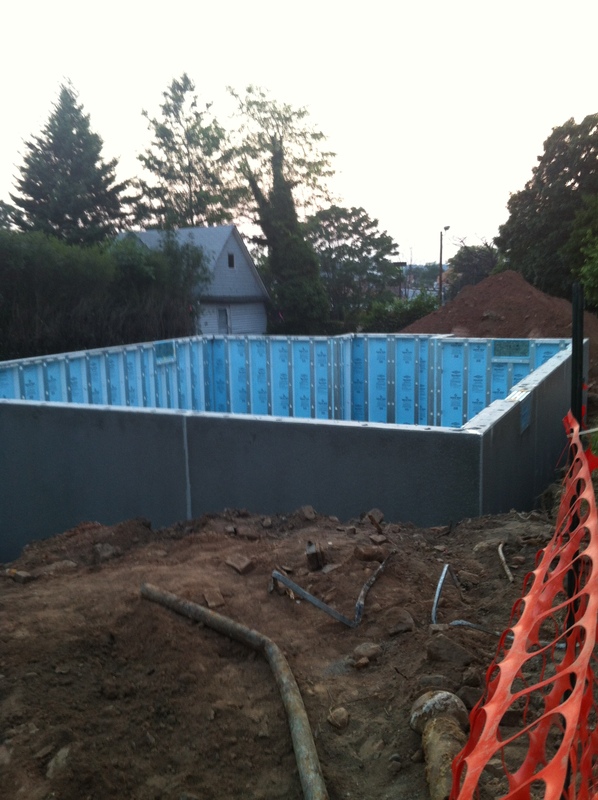 They use precast concrete walls to create a pre-insulated basement to fit any architecture. It is pretty amazing. The entire foundation was set in just a few hours. Tomorrow we are heading to the factory to see our house on the line. The “drop” is scheduled for a couple of weeks from today. Things seem to really be coming together! I haven’t been able to update the blog for a while, since we were waiting and waiting AND WAITING for the township to approve our plans and release our building permits. 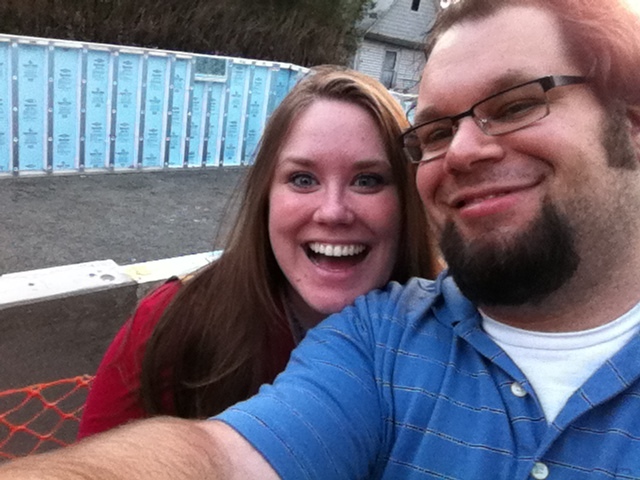 It took about 4.5 months, but we finally have permits! 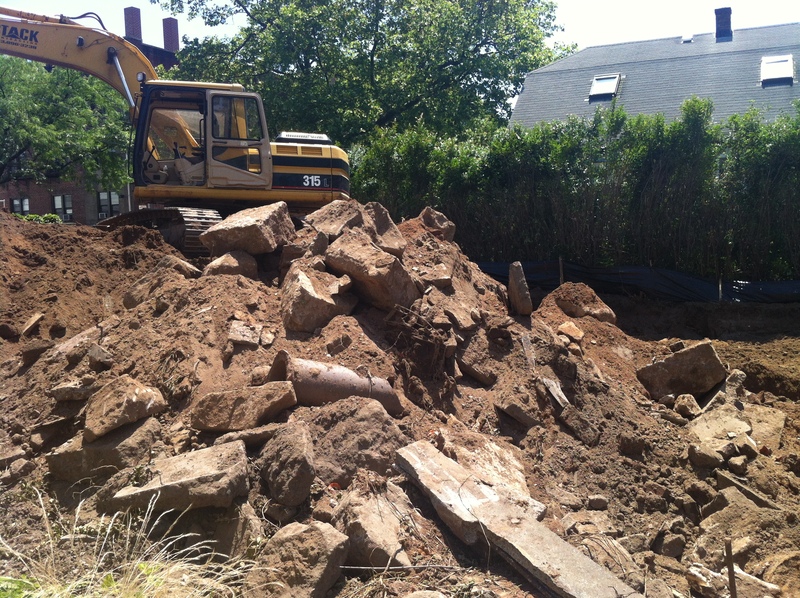 Our builder is planning to start clearing the lot and excavating for the foundation next week. The house is scheduled to go into production on June 11th. We can’t wait! Check back for more regular updates, now that we are really getting started! We would have loved to go with the wall ovens and separate cook top, but space and budget considerations left us with the standard freestanding range option. When choosing our range, we had to consider whether to buy all electric, all gas, or duel fuel (electric oven and a gas cook top). Folks seem to say that electric ovens are great for cooking and baking, because of the heat precision an electric oven affords. Electric ovens have a smooth cook top, which I tend to like. So it goes without saying that a duel fuel range would be the best of both worlds. Of course, that option costs extra money, so we had to make a choice. 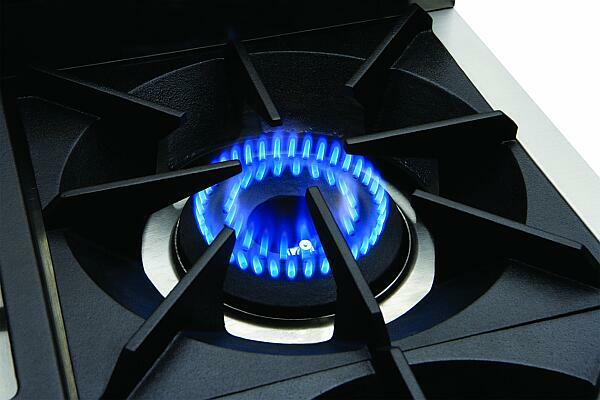 We really wanted a pro-style 36″ range and most ranges of this size are gas or duel fuel. After a few trips to various appliance stores, we narrowed down our search to American, BlueStar, Capital, and DCS 36″ gas ranges. 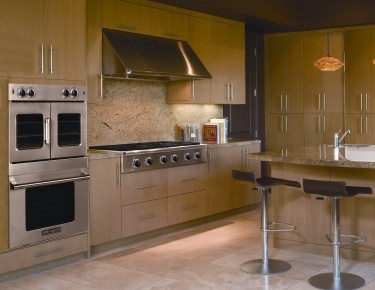 We ultimately chose the DCS 36″ 6-Burner Gas Range. We got a great deal on the range from a local retailer. We were also able to take advantage of a special that the appliance store was offering and they threw in this sweet double drawer dishwasher for free. Now we have to find a refrigerator that matches the DCS brushed stainless steel. Fun! Oh man did we have a hard time picking out flooring! Our house will be open concept, so we plan to have hardwood throughout the whole house. 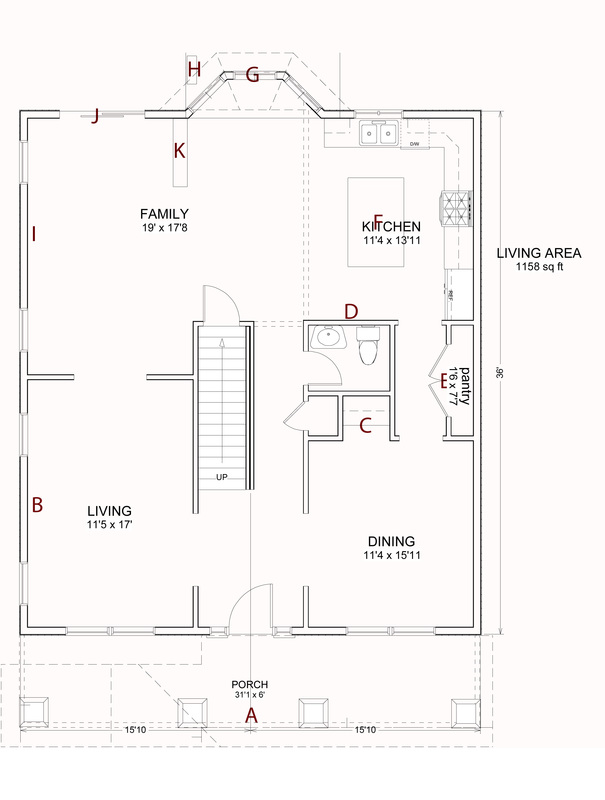 The only rooms that will not have hardwood are the bathrooms and possibly the basement. While picking out hardwood, we had to consider how the floors would look with our kitchen cabinets. Our builder uses Merillat Cabinets, the Classic Collection. We selected the “Portrait” style maple cabinets in “Chiffon”, which is a soft off-white color. That would be pretty easy to match, except we decided we wanted a darker colored kitchen island. We chose the same style cabinets but in the “Kona” color, which is a dark wood stain. Picking something that wouldn’t be too close to Kona, but looked good with the Chiffon proved to be more difficult then I thought it would be. I have always wanted black floors and I quickly convinced Mike that they would look super slick. But the black hardwood looked odd with the dark brown cabinets. We decided to look at the opposite end of the spectrum and started looking at unfinished floors. Mike vetoed the unfinished floors early on and we had to compromise. We finally landed on a dark maple that is not too similar to the Kona cabinets. We found a really great deal on a 4″ wide espresso maple for $4.25/sq ft. This is only .25 cents over our flooring allowance. 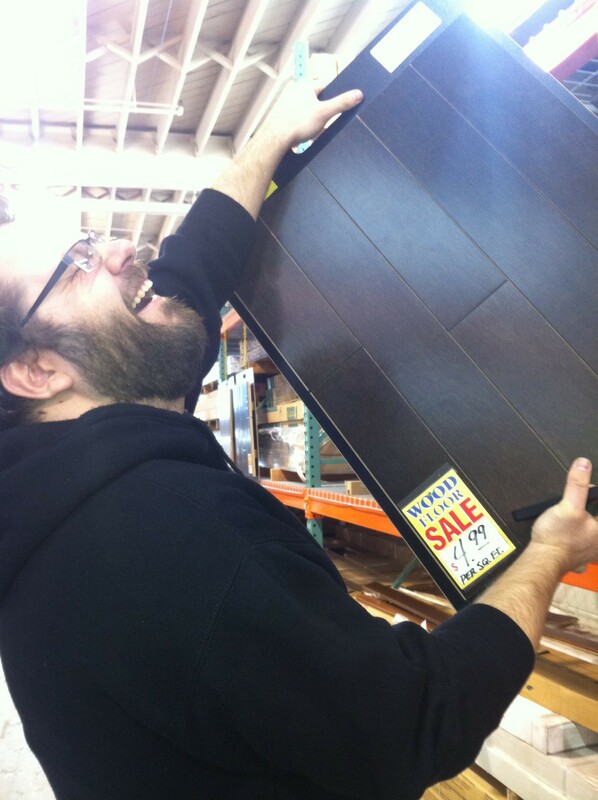 Needless to say, Mike was VERY happy that we finally picked out hardwood floors and we could stop going to flooring stores. 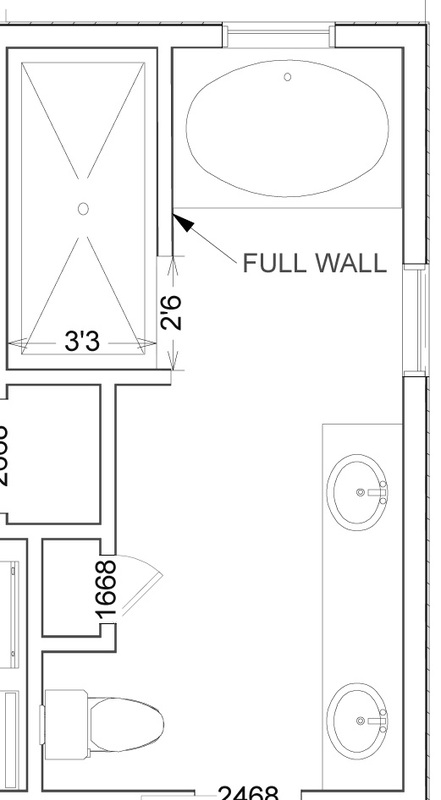 Since the first day of the house design process, my husband has been dreaming about having a walk in shower. He was pretty certian that we should not have any glass walls or doors. Essentially he wanted an open “shower room”. We started off with a typical shower design, where we would have had a glass wall and door on one side of the shower. 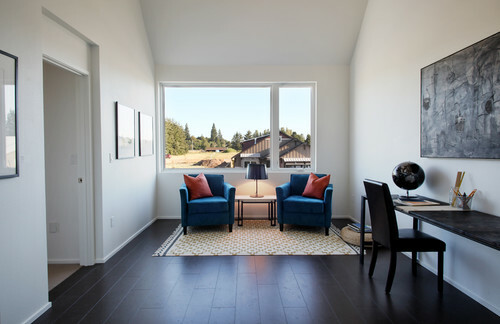 We didn’t really like this layout and we worked with our architect to try to make the best use of the space. We ended up taking some space from the study next door and adding it to the bathroom. 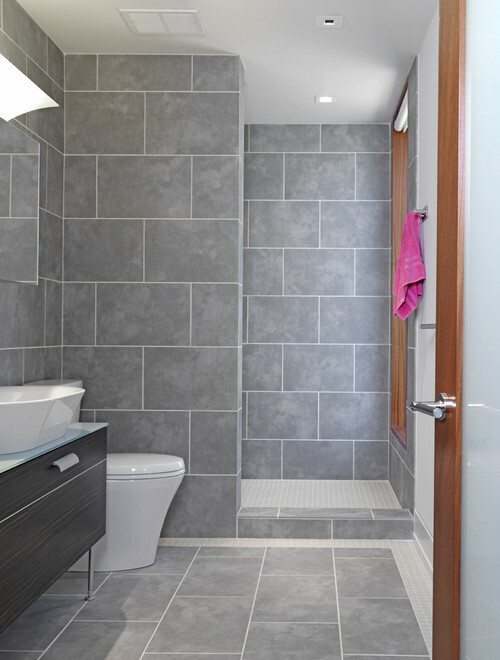 This gave us the space to have a full wall on the outside of the shower and the illusion of the “shower room”. I was a bit concerned the full wall might make the shower feel really dark, but our architect felt that we would have enough light from the window directly across from the entrance to the shower and from the overhead lighting in the stall. Here is what we finally settled on. 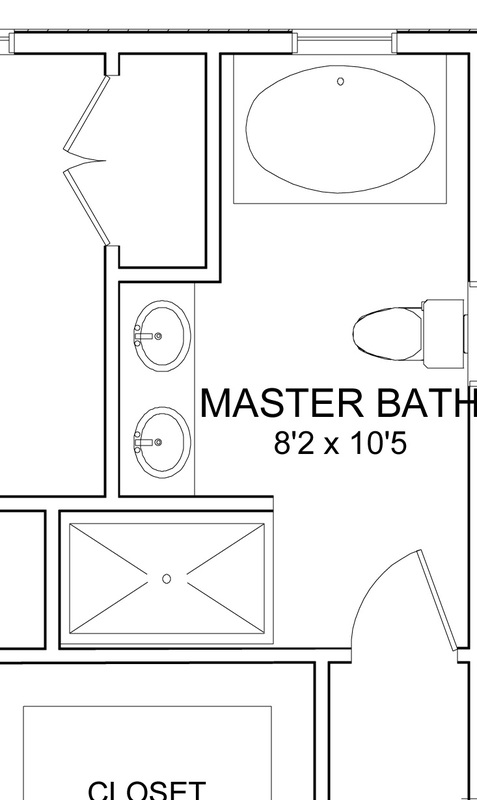 With this layout we were actually able to add a small linen closet which defines the toilet area and gives us some great storage options for this floor. What do you think? 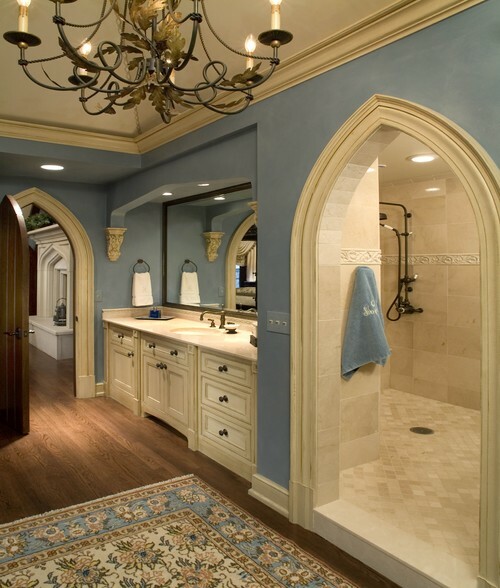 Do you like glass shower doors or does the allure of the shower room appeal to you, as well? 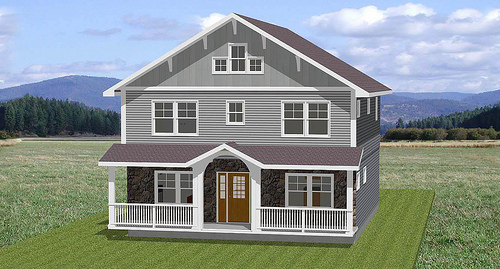 We finally have a layout that we like, now we have to pick out the finishes and I mean ALL the finishes. 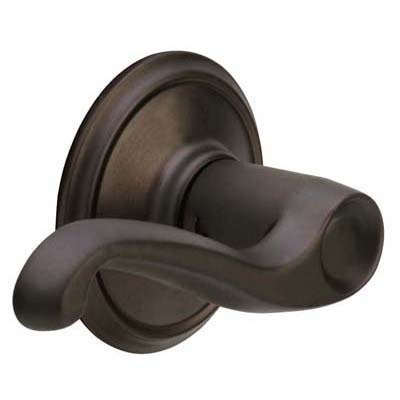 I never thought about what type of door knobs I liked, until our last house had brass fixtures. Yuck. Now we are pouring over these types of details and crossing our fingers that we get it right. Stressful. We decided to start with floors… Lets see where this takes us. We are so very thankful for our amazing family and friends today and always. Not only do the put up with us talking non stop about building a new house, but they actually genuinely offer amazing advice and support. We are incredibly lucky and so very excited to be on this journey together. Merry Christmas from our Kitchen!